Mengni Tang, Linfield student, class of 2013, reading The Teachings of the Compassionate Buddha: Early Discourses, the Dhammapada and Later Basic Writings, by E.A. Burtt. 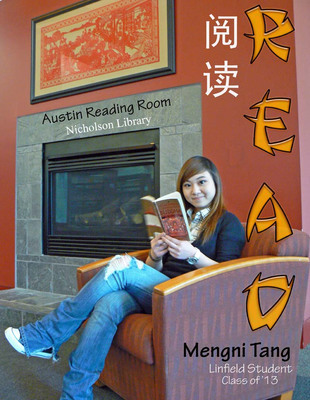 Terry, Paula and Nicholson Library Staff, "Mengni Tang READ Poster" (2010). READ Poster Gallery. Image. Submission 78.